Can the Bulls Finally Do It? For the 10th time in 11 years, the Chicago Bulls will be back in the NBA playoffs. That’s truly an astounding feat, as it’s hard to maintain success like that in any professional league. Only the Spurs and Mavericks have had similar success in the NBA in recent years. The only difference, though, is that the Bulls don’t have as much postseason success as those teams mentioned. While both the Spurs and Mavericks have won NBA titles, the Bulls have only won four playoff series: 2007 vs. the Heat, 2011 vs. the Pacers and Hawks, and 2013 vs. the Nets. That’s it. For as good as the Bulls have been, the end result has stayed the same. Now, in the fifth year under Tom Thibodeau, the Bulls have assembled a roster that is arguably the best they’ve had in these 11 years. Jimmy Butler has blossomed into an All-Star. Pau Gasol has had a renaissance season, becoming a double-double machine. And even a guy like Nikola Mirotic has come in and provided quality play, potentially becoming the rookie of the year in the NBA. So will this finally be the season the Bulls pull through? Can they finally overcome their early round exits of recent memory and make it to their first NBA Finals since 1998? Those questions can be answered with one word: health. Simply put, in order for the Bulls to have any chance this postseason, they need to be healthy. That can be said for all of the teams, but it applies to the Bulls more prominently then others. One of the major things that has held the Bulls back is their health, specifically that of former MVP Derrick Rose. The injuries to the point guard have killed Chicago these past three years, especially in 2012, when he first tore his ACL against the Philadelphia 76ers in the first round of the playoffs. I still believe to this day that if Rose stays healthy, the Bulls could have won the title that year. Instead, the Bulls lose in six games to Philadelphia and the Heat go on to win the title. This year’s Bulls team, though, has been hit hardest with the injury bug. It started with rookie Doug McDermott, who missed two months with an injured foot. Then Mike Dunleavy, the starting small forward for the Bulls, went down for over a month with an ankle injury. Taj Gibson has been in-and-out of the lineup dealing with ankle injuries. Joakim Noah’s knee is still bothering him from offseason surgery. Butler, who is arguably the team’s MVP this year, just came back after missing nearly a month with a sprained elbow. And then, of course, there’s Rose, who’s dealing with yet another meniscus tear in his right knee. He should be back for the playoffs, but time will tell if he actually will be 100 percent come postseason. With that being said, if this team can be healthy by the end of April, then this just might be the year for the Bulls. 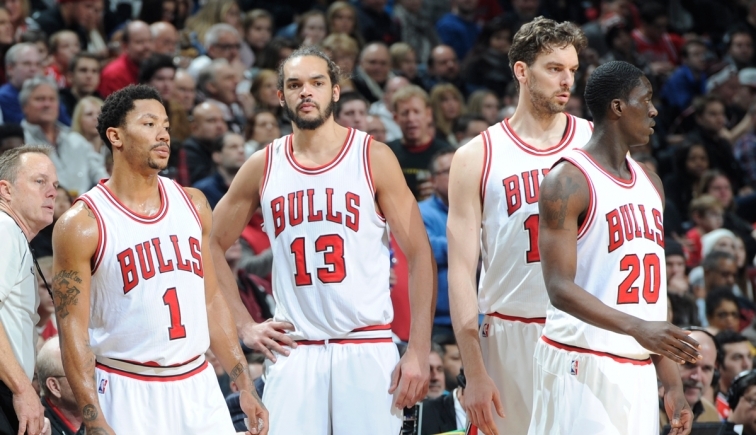 In the 19 games the projected starting five of Rose, Butler, Dunleavy, Gasol, and Noah have played, they’re 15-4. While that looks promising for the Bulls, there’s a problem with that stat: they’ve only played 19 games together. While they have been successful together, they’ve barely been playing with each other, which all comes back to the big question: can the Bulls finally stay healthy? The East is very winnable compared to other seasons. While both the Hawks and Cavaliers seem like the front-runners at this point, neither seems to be as “dominant” as the recent Heat teams that were led by LeBron James, Dwyane Wade, and Chris Bosh. Even if the Heat weren’t the number one seed in the East, they were always the team to beat. Now, four or five teams pose real threats in the East, with none of them being the clear-cut favorite. This leaves it wide open for a Bulls team to finally break through and represent the Eastern Conference in the NBA Finals come June. In the end, though, it all comes back to that one word: health. 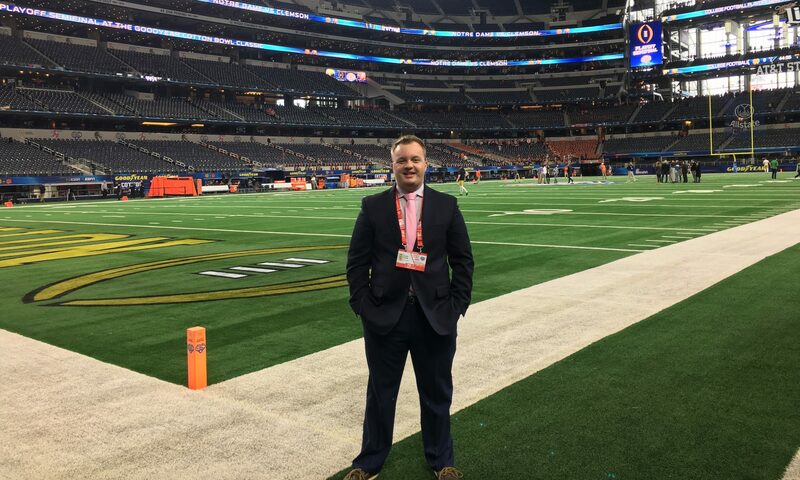 Next PostNext Do We Overvalue the NFL Draft?